Police arrested a man earlier today in connection with an attempted murder which left the victim in hospital with serious injuries. According to Police Scotland, officers arrived at Victoria Road just after 10am in response to reports of a disturbance. The Scottish Ambulance Service was also called to the scene. A number of police officers were reportedly searching bushes in the area. 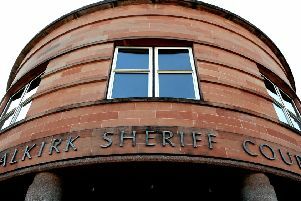 A Police Scotland spokesperson said: “Police in Forth Valley have arrested a 28-year-old man in connection with attempted murder after officers were called to the Victoria Road area of Falkirk at around 10am.